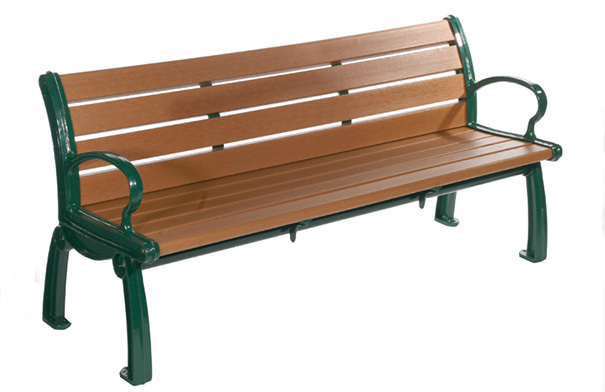 Made with nine 2" x 4" recycled plastic resinwood slats and powder-coated, heavy duty cast aluminum frames, these Heritage Benches are the industry standard for architectural design. The under structure is braced with length and width supports. The recycled plastic resinwood slats are available in an array of color options. Powder-Coated cast aluminum frames are available in black and green. Hardware is stainless steel.